Lehigh Valley Tower at Van Etten, N.Y.
Lehigh Valley #510, Manchester, N.Y.
Lehigh Valley Station, Auburn, N.Y.
Delaware & Hudson Depot, Richmondville, N.Y.
Lackawanna depot at Onativia, N.Y.
As shown in this view, trains once ran all the way to the foot of Mount Washington in New Hampshire. Built by the Boston, Concord & Montreal Railroad, the Mt.Washington Branch was completed in 1876 and leased to the Boston & Maine Railroad in 1895. 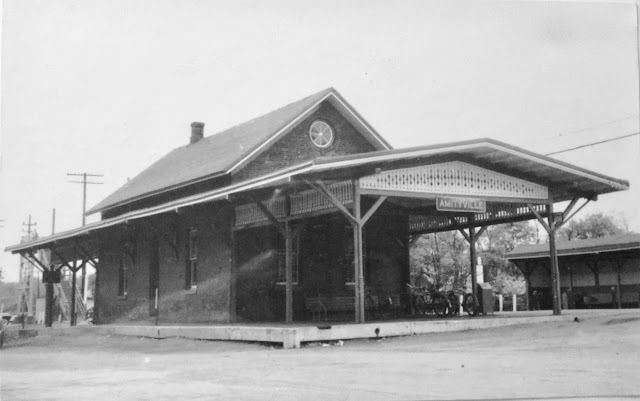 1932. 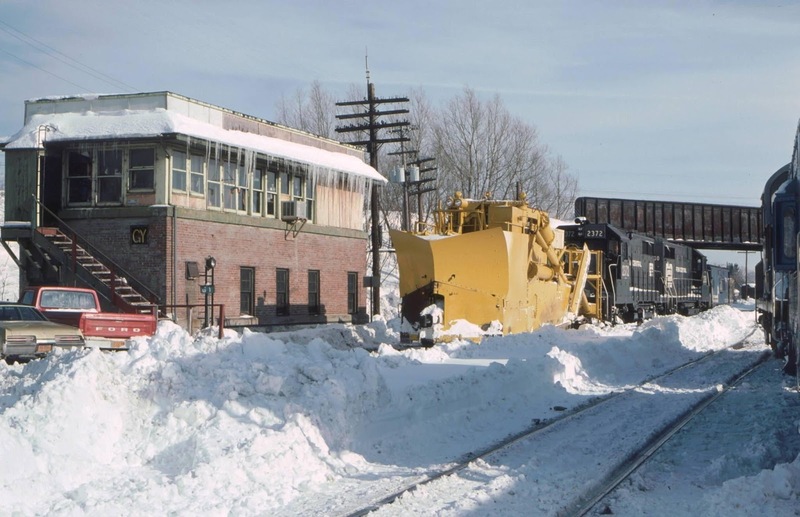 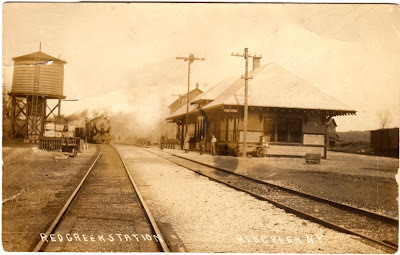 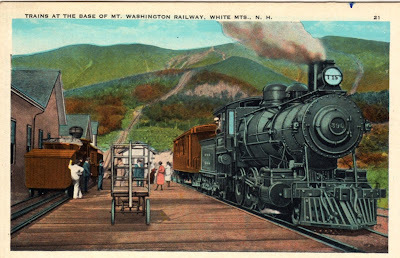 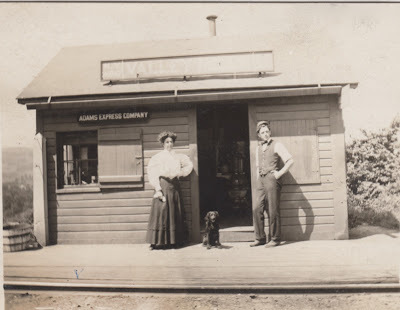 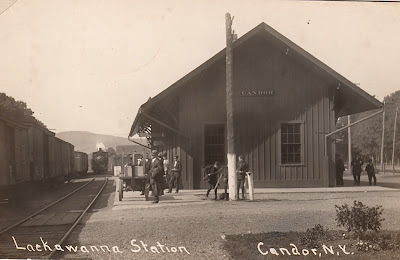 Located in the White Mountains, the branch was about six miles long and traveled from Fabyans to the base of the Mount Washington Cog Railway. A few brooks were crossed on wooden bridges. 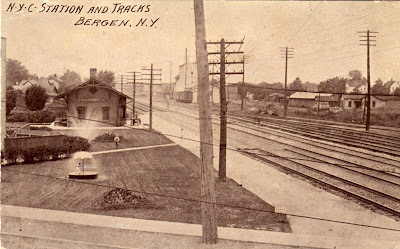 Passenger service on this branch was discontinued on August 31, 1931 and the line was abandoned in 1932. 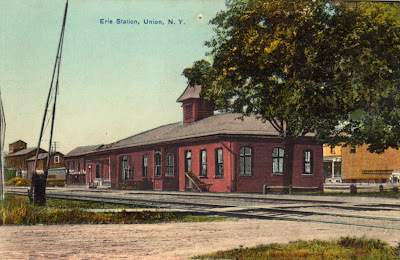 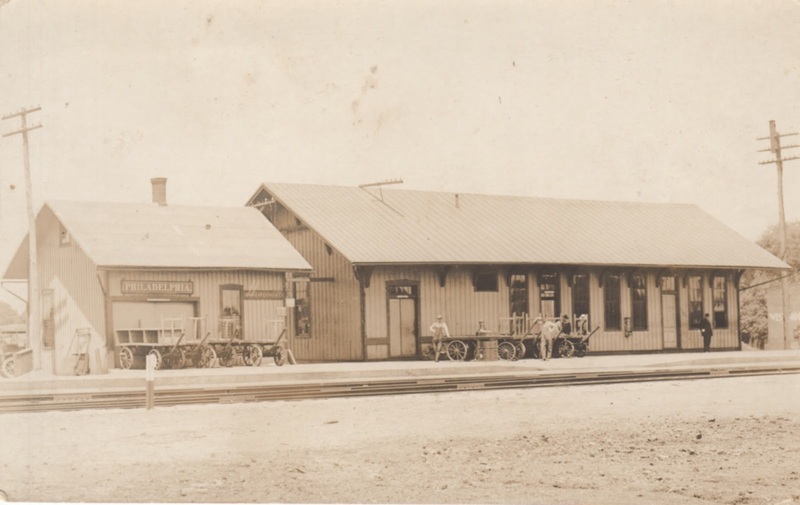 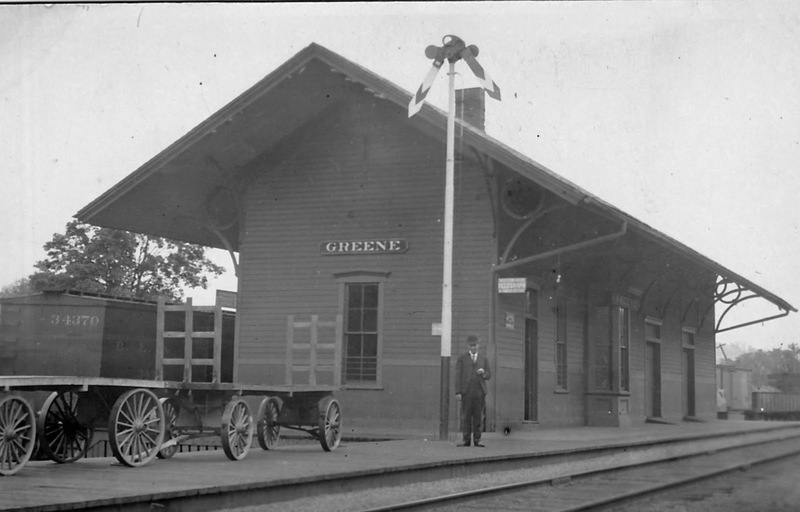 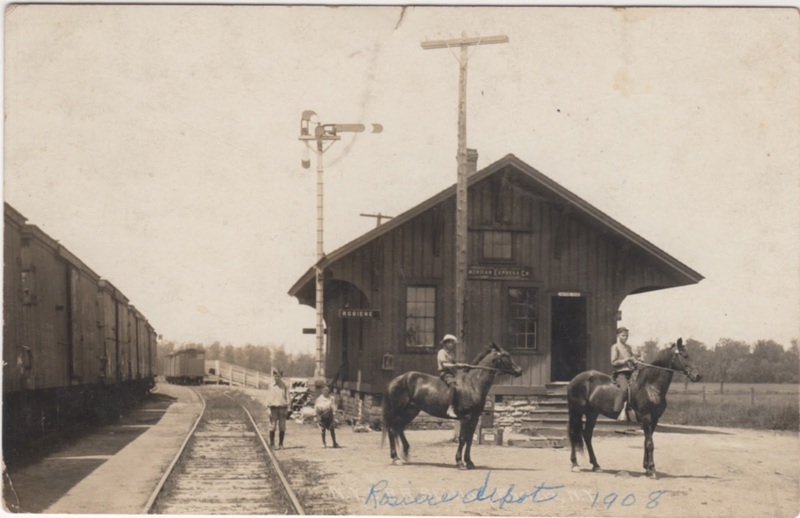 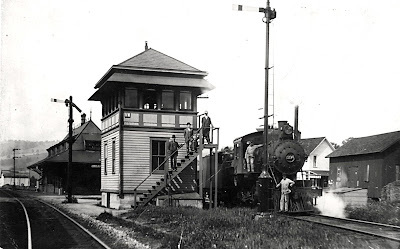 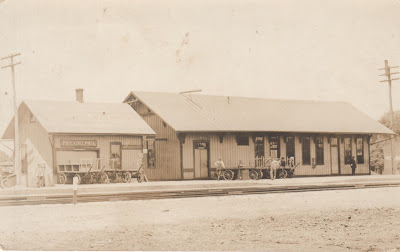 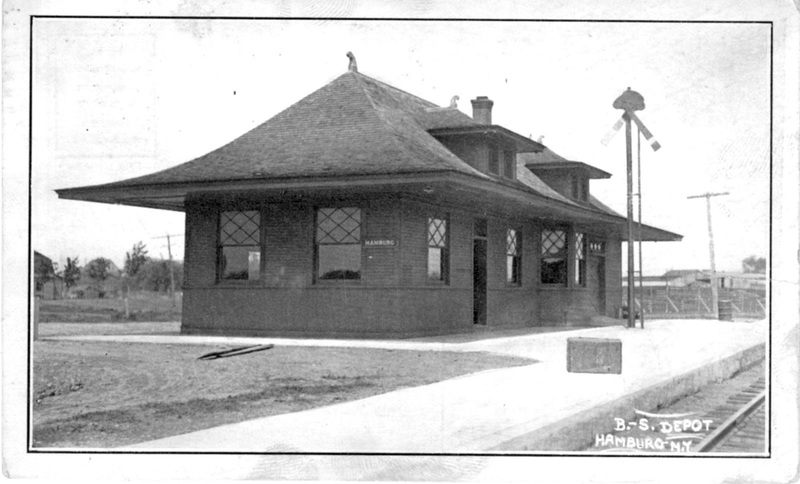 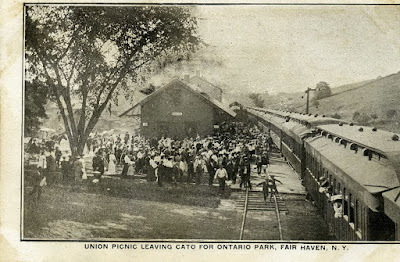 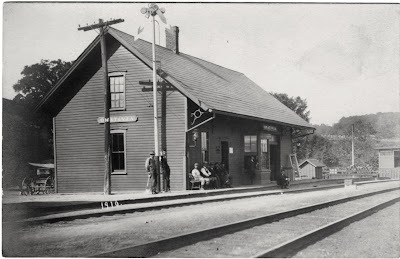 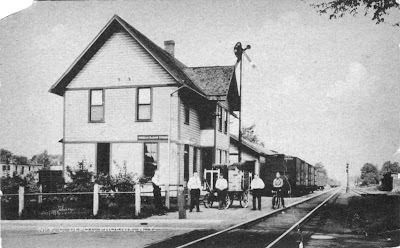 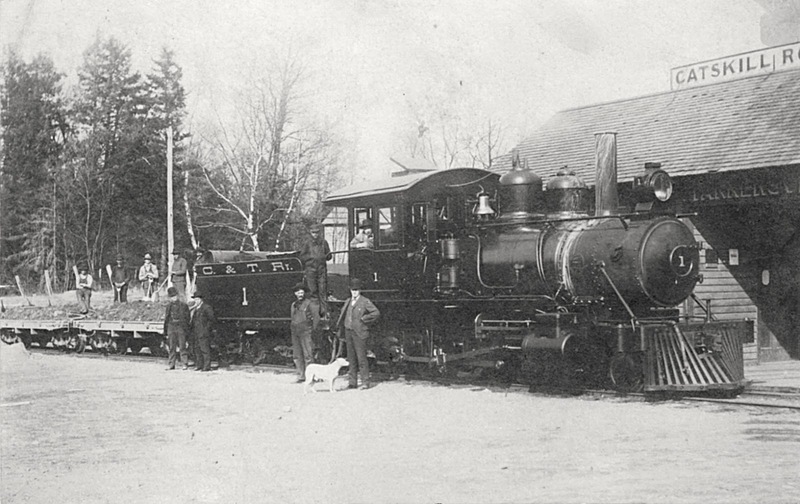 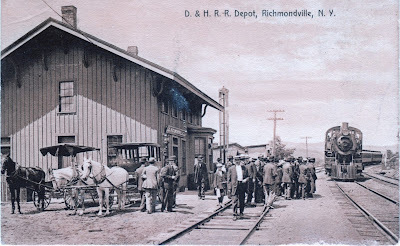 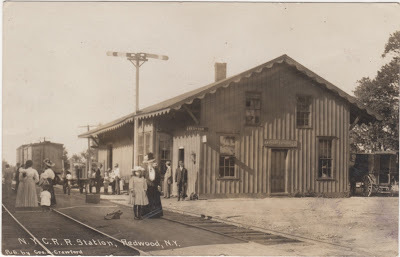 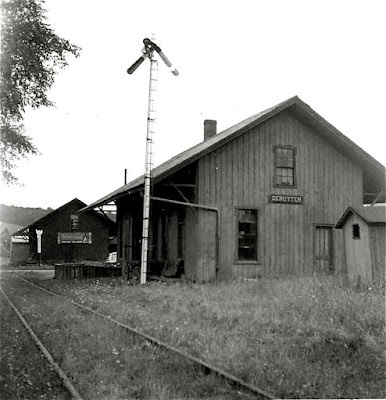 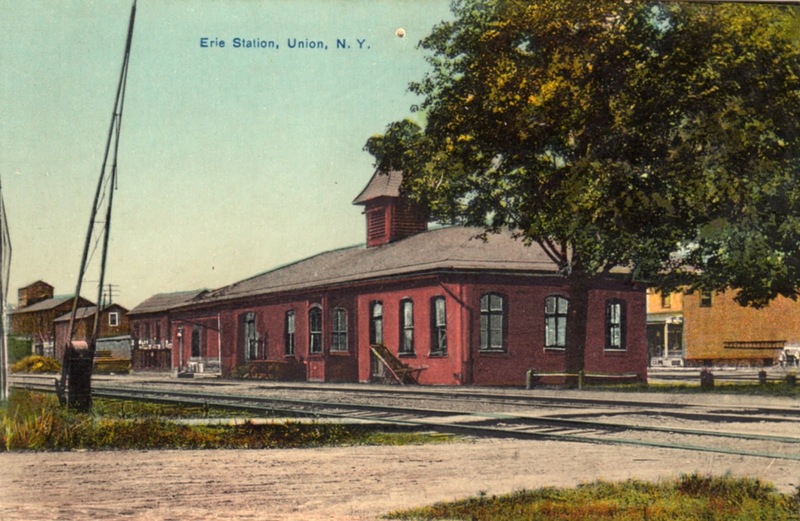 Erie Depot at Union, N.Y.
Catskill & Tannersville No. 1. Looks like they used milk instead of water in the engine. 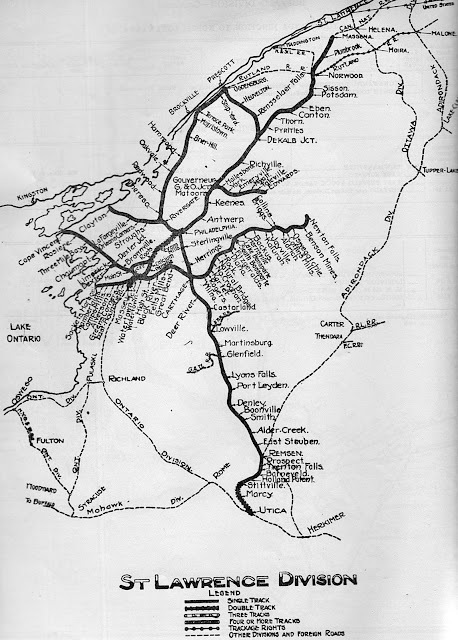 This was a 3-foot narrow gauge line called “The Huckelberry” that ran from Kaaterskill to Tannersville, in the Catskill Mountains, 5.2 miles long. 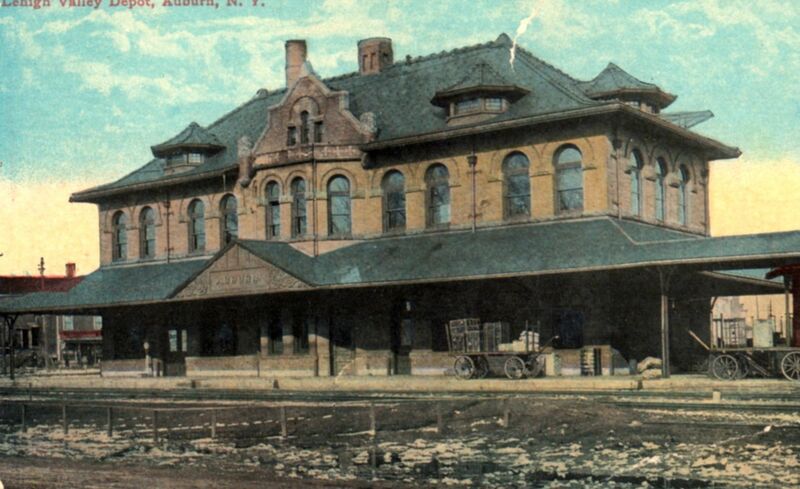 Abandoned in 1919. 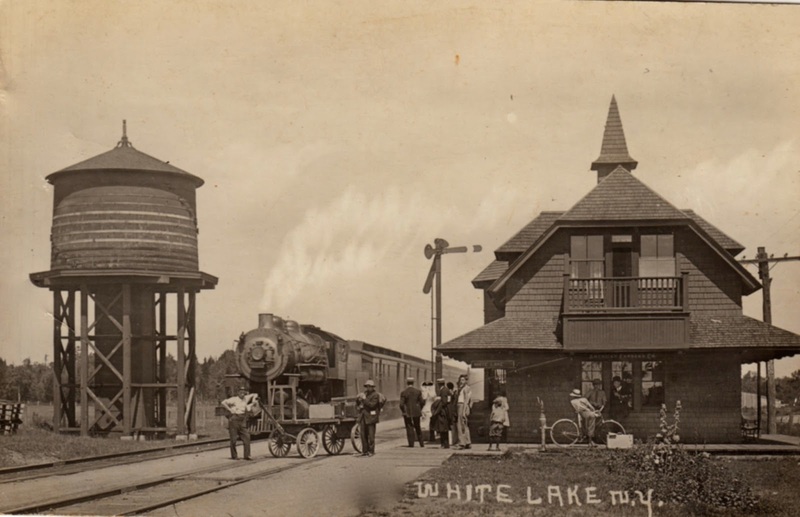 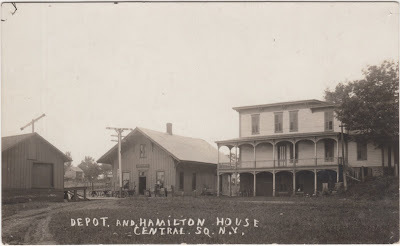 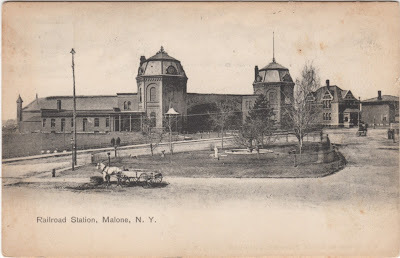 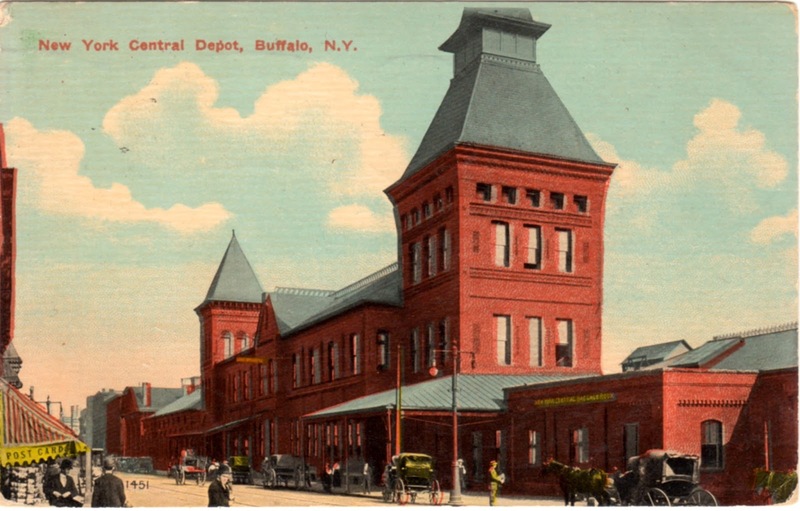 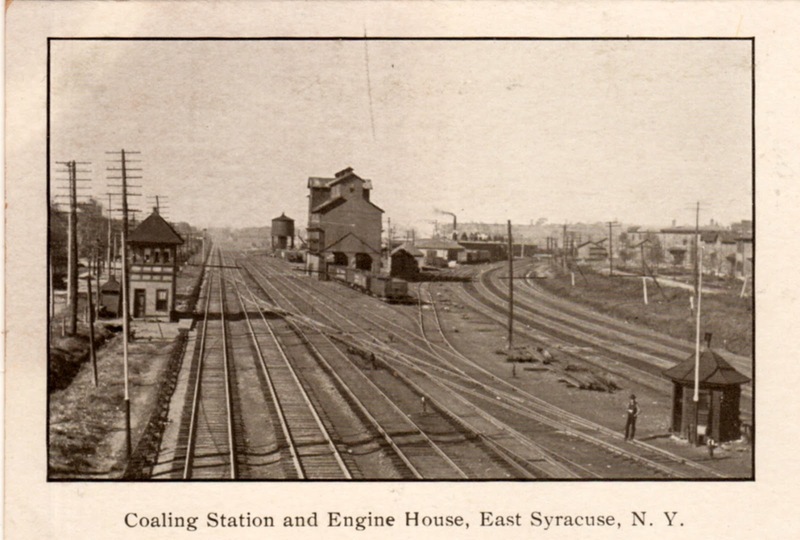 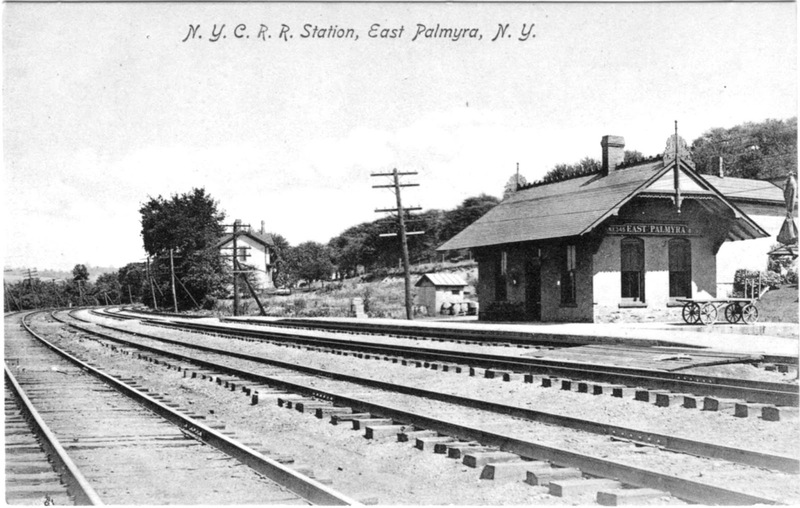 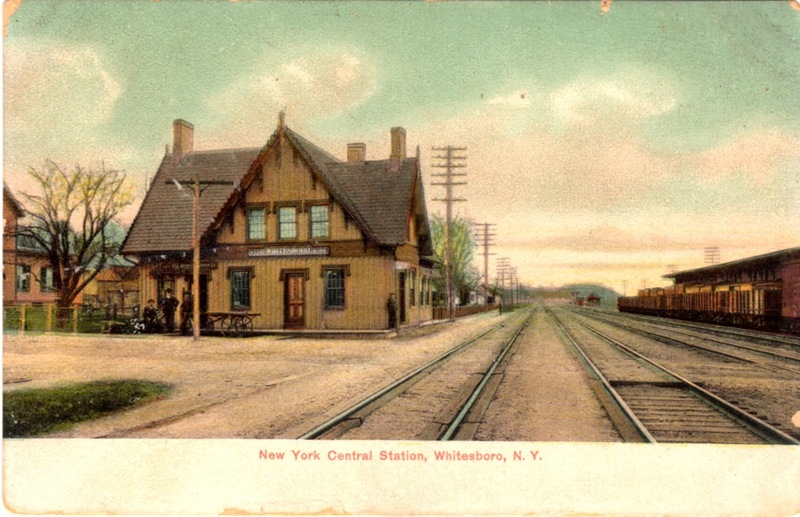 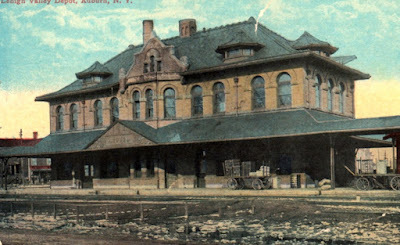 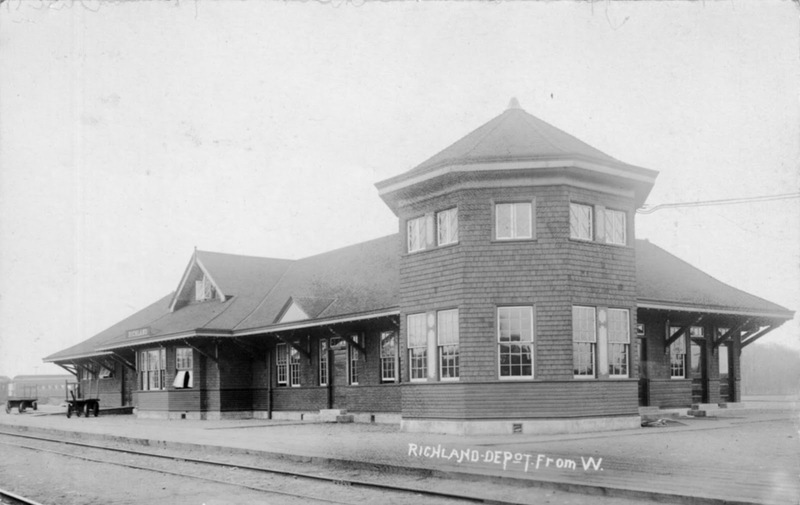 New York Central Depot at East Palmyra, N.Y.
Delaware & Hudson Yards in Oneonta, N.Y.
Depot at Valley Mills, N.Y.
Valley Mills was on the New York, Ontario & Western south of Oneida. 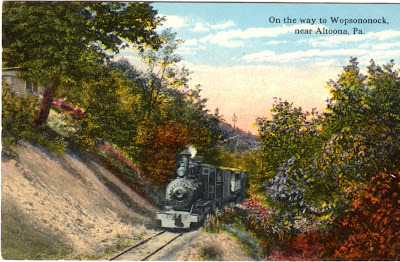 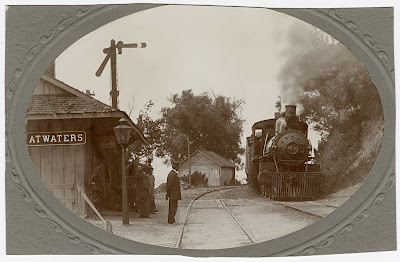 This is a post-card view of a train on the three-foot narrow gauge Altoona & Beech Creek Railroad about 1908, which operated during the late 19th and early 20th century. 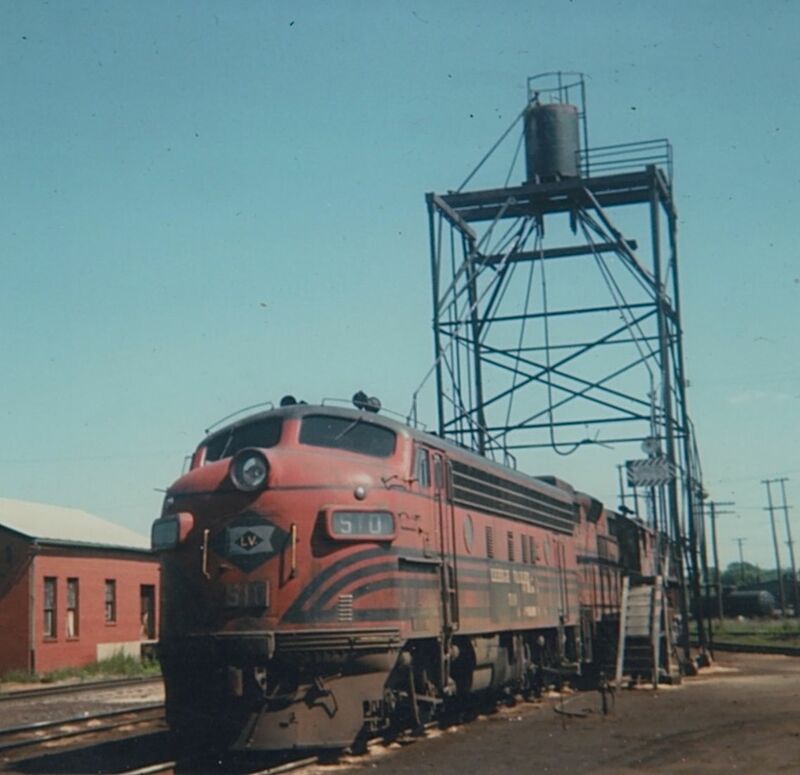 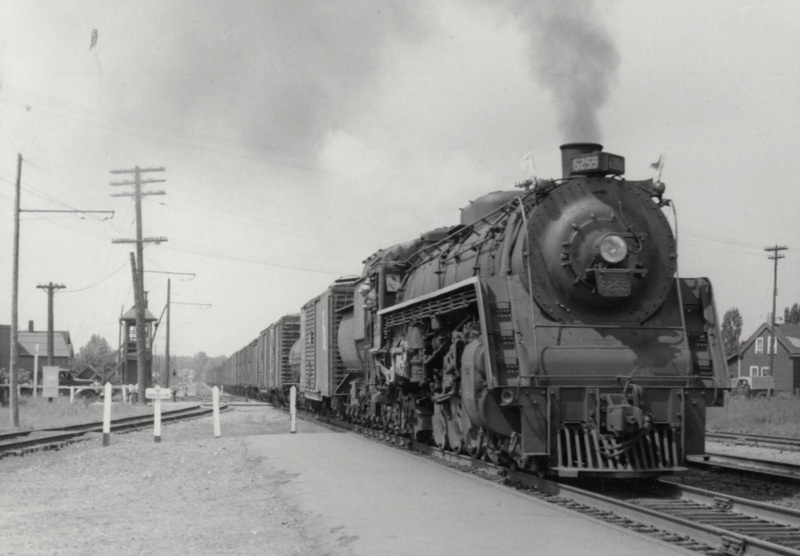 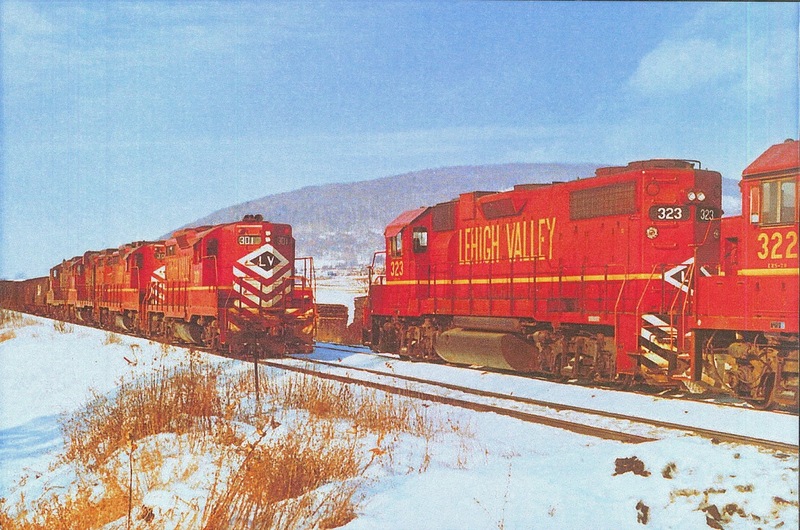 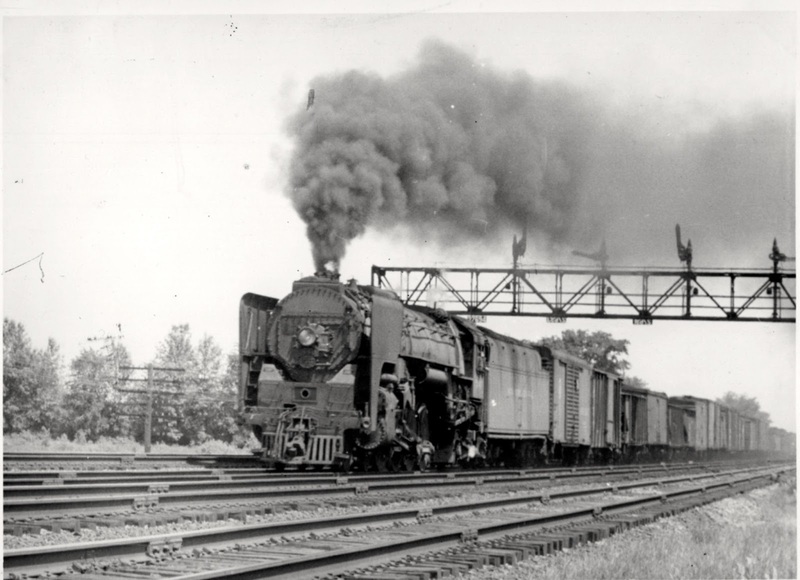 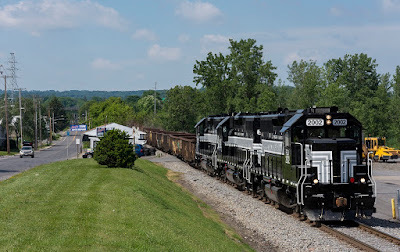 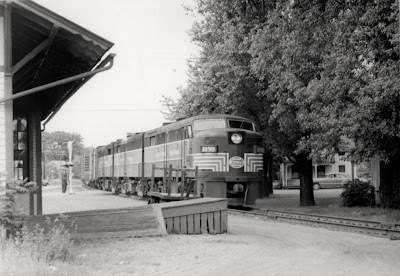 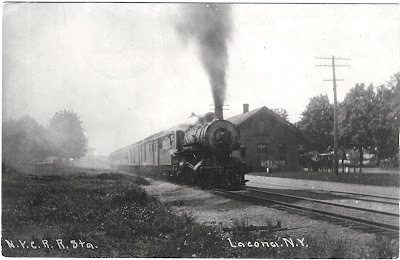 It carried passenger traffic up from the vicinity of Altoona to Wopsononock and coal and timber down from Wopsononock and Doughty to Altoona. 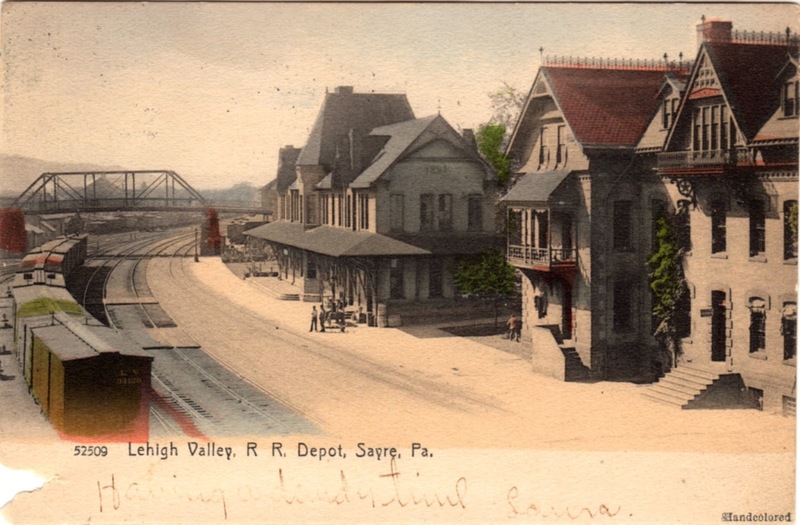 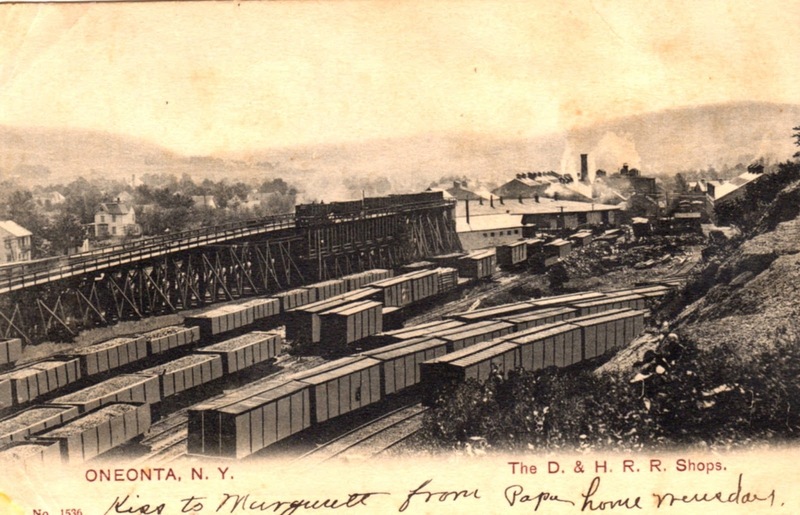 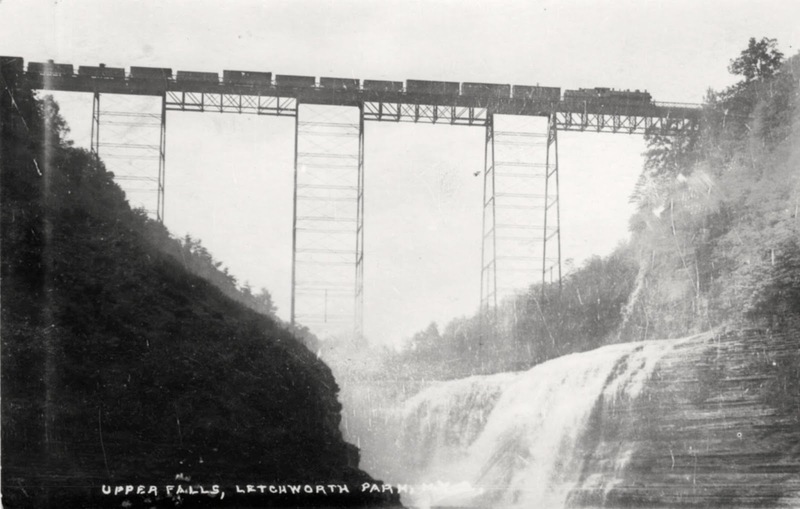 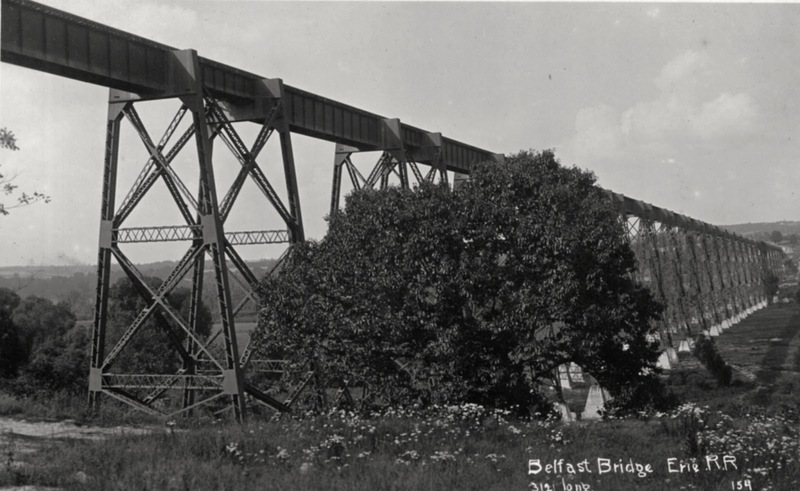 Originally constructed to develop coal mines and resort traffic atop the Allegheny Plateau, it became involved in a complicated and ultimately unsuccessful scheme to break the Pennsylvania Railroad's control over the Clearfield coal region. 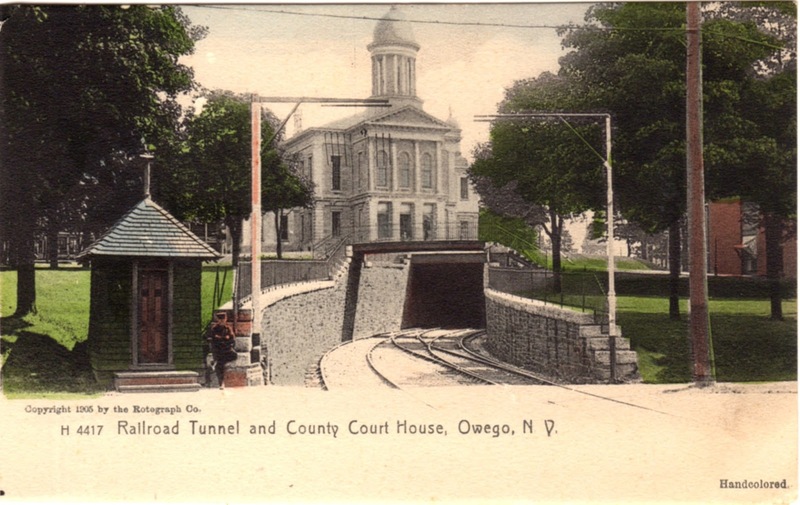 Never very profitable, it went through several reorganizations, the last in 1913. 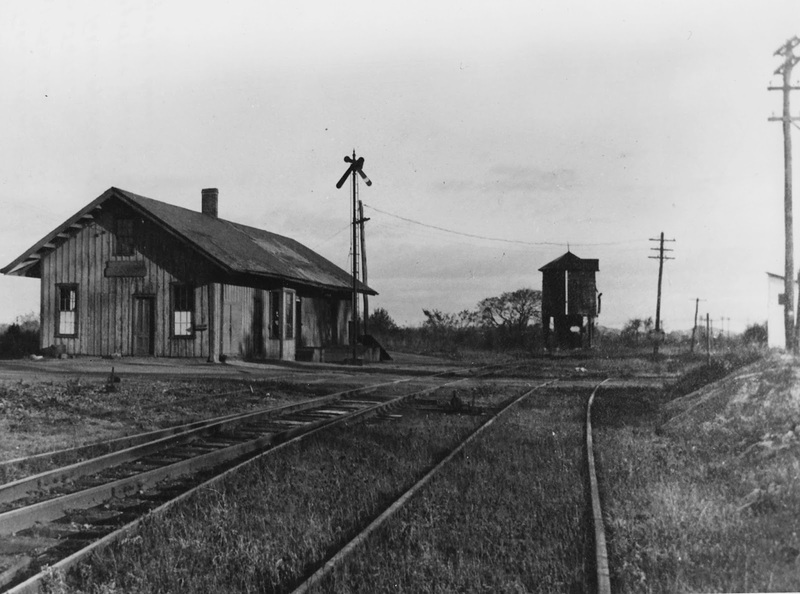 It was converted to standard gauge in 1916, but was unprofitable and abandoned in 1919. 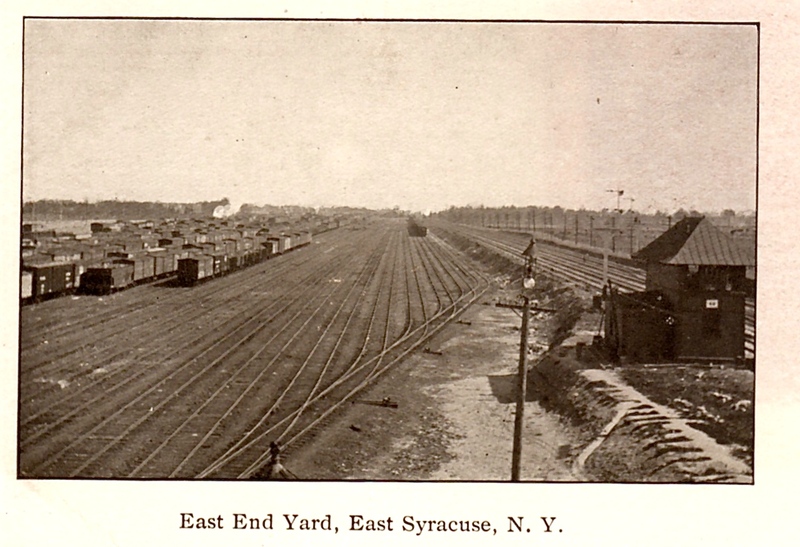 It was eventually about 12 miles long. Rutland Station at Malone, N.Y.
New York Central Depot at Whitesboro, N.Y.
An unusual "Gothic Cottage" style station for the New York Central! 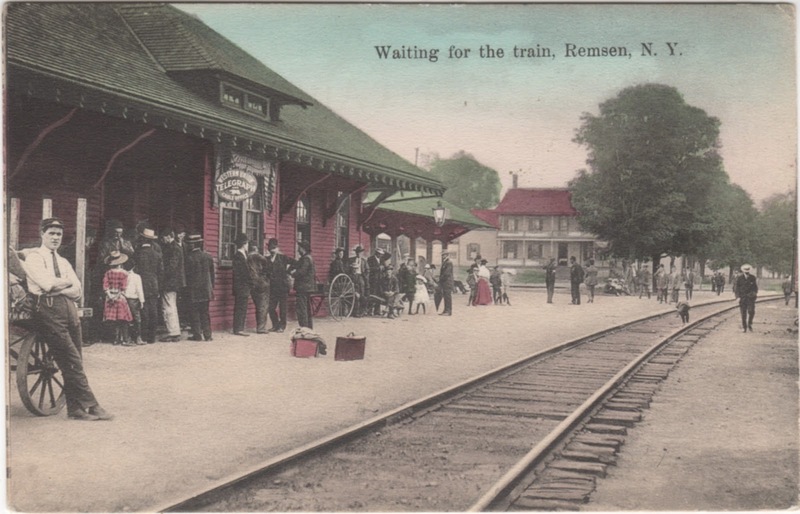 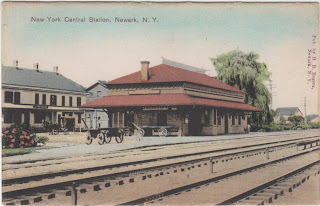 New York Central Depot at Remsen, N.Y.
Northbound Train at Lacona, N .Y. 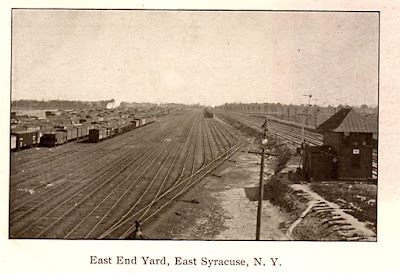 Erie Railroad Bridge near Portageville, N.Y.
Erie Railroad Bridge at Belfast, N.Y.
New York Central Yards, East Syracuse, N.Y.
New York Central in East Syracuse, N.Y.
Lehigh Valley Station at Sayre, Pa.
Station is at left, Seneca Division offices at right. 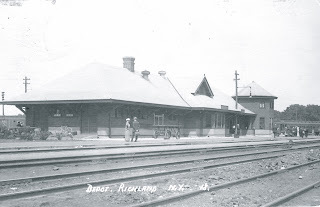 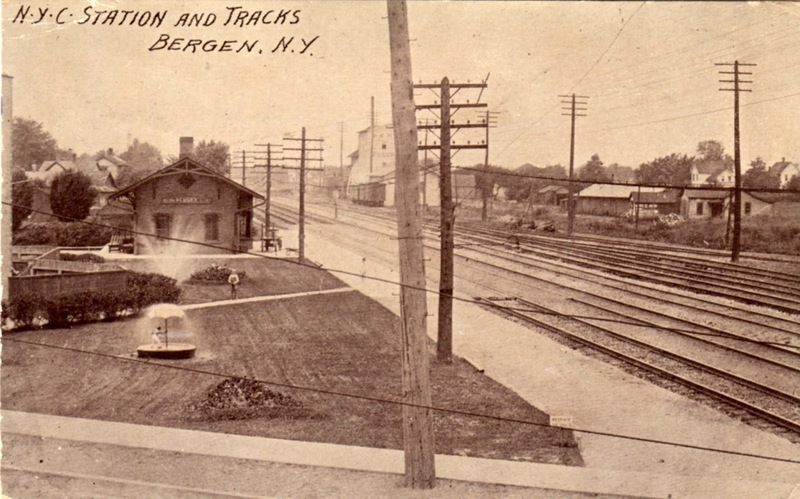 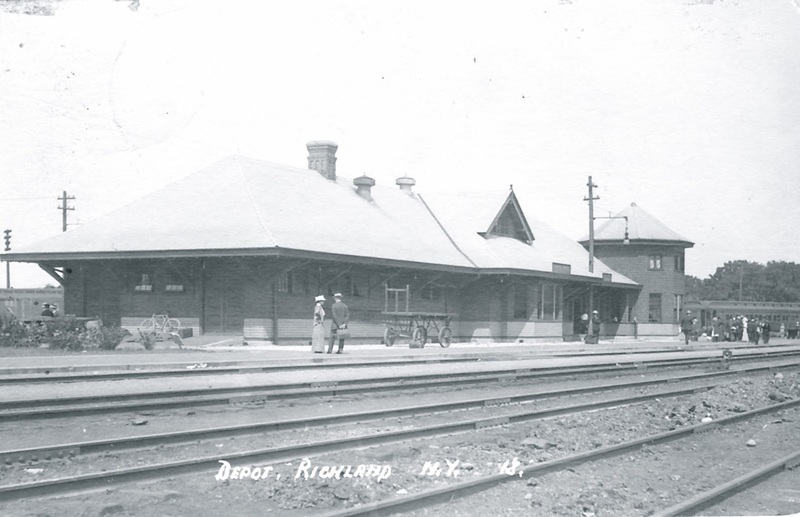 New York Central Depot at Bergen, N.Y.
on a landscaped lawn at a railroad depot? Buffalo & Susquehanna Depot at Hamburg, N.Y.
Lackawanna Depot at Greene, N.Y.
New York Central Station in Buffalo, N.Y.
Railroad Tunnel at Oswego, N.Y.
New York Central Depot, Phoenix, N.Y.
Depot and Hamilton House at Central Square, N.Y.
Another View of Depot at Richland, N.Y.
New York Central Depot, Richland, N.Y.
Lackawanna Depot at Candor, N.Y.
New York Central Depot at Rosiere, N.Y.
New York Central Depot at Newark, N.Y.
New York Central Depot, Philadelphia, N.Y.
New York Central Depot at Redwood, N.Y.
New York Central Depot at White Lake, N.Y.
New York Central at Red Creek, N.Y.
Atwaters was a station on the Auburn-Ithaca Branch of the Lehigh Valley.